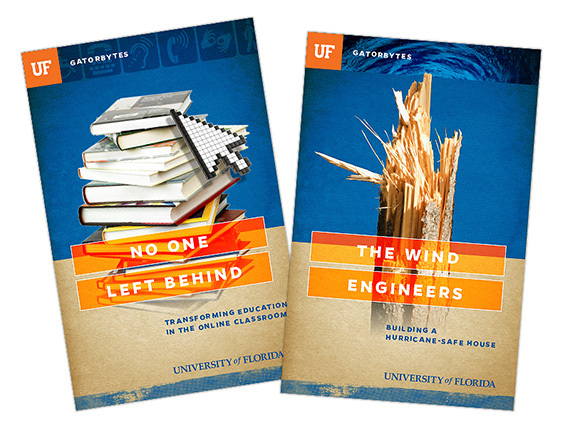 The Brief: Brand and promote UF's strongest research narratives through a series of pamphlet sized digests, written by top journalists and made available digitally. 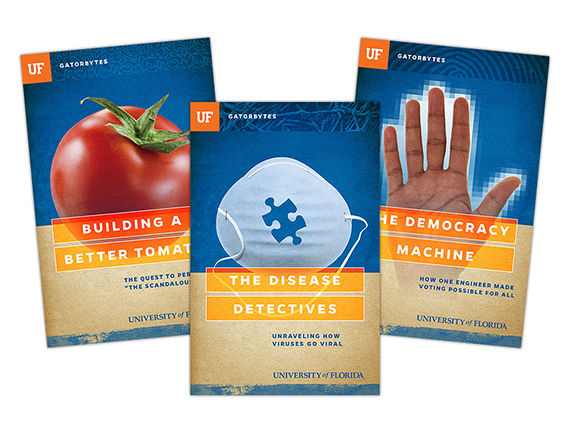 Broad distribution to the right audiences can elevate the overall profile of UF's research, a main goal of the effort. The Solution: A design system based on distilling complex ideas into singular, easy to understand visuals.